What Makes a Hack a Hack? The Conspirator is an historical drama, which reveals a little known story about those connected with President Abraham Lincoln’s assassination. This is the debut film for The American Film Company, which plans to highlight historical dramas drawn from American history. It seems only appropriate that Robert Redford would be the director behind the company’s debut. Throughout his career as actor, producer, director, environmentalist, philanthropist and the founder of the renowned Sundance Institute, Redford has been a talented, thoughtful renaissance artist, and these sensibilities have continued to focus his stories on the humanity of his scenarios. Redford’s first film, Ordinary People (1980), was about the disintegration and the resilience of a family in the wake of tragedy. It won the Oscars for Best Picture and Best Director, and in hindsight, although some may question the film’s wins against another nominee that year (Raging Bull), many would not question Redford’s sincerity to his material. It is this integrity which seems to shine through in each of his films and The Conspirator is no exception. The Conspirator follows a drama we were never taught in our history books. Most of us know about John Wilkes Booth and his assassination of President Abraham Lincoln. However, many of us may not know about the eight others who were charged with conspiracy in the wake of the assassination. One of those charged was Mary Surratt, the owner of the boarding house where Booth stayed before the assassination. Redford’s film follows a young and idealistic Union war hero, Frederick Aiken, and his budding career as an attorney after the war. Aiken will come to reluctantly defend Surratt, and in the process, face the prejudice and demons that would beset even the best of us in the wake of such a national tragedy. Redford’s attention to detail is meticulous, from the production design of the period to the perspectives and mannerisms of his talented cast. This accuracy transports us to the time and place for what we are about to witness. But the intrigue that we may be discovering this slice of history for ourselves is what really makes Redford’s film work. And the cache of integrity that Redford has built up over the years just makes you want to embrace the “history” of this drama even more. In the best historical dramas, we want to find out more after viewing the film version. The Consiprator is just such a film. Was this really how these events transpired? Or did the filmmaker take liberties with the facts? What about the outcome in the film? Where did the characters lives end up afterwards? How did the citizens of the nation come together in those years immediately following the Civil War? 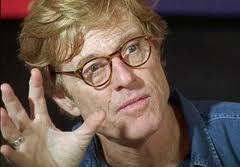 Redford demonstrates once again why he is a visionary. His films may not break new technical ground or impress us with stylistic camerawork or editing, but Redford is focused elsewhere. His consistent pursuit of a more compassioned and just world, and his dedication to projects which showcase the importance of our humanity in the face of adversity, are not only commendable, they are visionary. China is now North Korea! Nice piece. Where’d you see the film?